There are no available updates at this time. Please come and check this later. The Williamsburg County Animal Shelter (WAS) case resulted from two simultaneous events that led to an investigation by Animal Rescue & Relief: First, the shelter’s Board of Directors wrote a formal letter to Williamsburg County complaining that shelter staff were not providing adequate care to the animals in their possession and that standard operating procedures for the shelter were not being followed. Second, County residents issued complaints and concerns directly to Animal Rescue & Relief that shelter animals were not being cared for properly and that animals were not being euthanized in a humane manner. The WAS Board eventually reached out to Animal Rescue & Relief, which had already begun their investigation, for assistance. Animal Rescue & Relief’s investigation concluded that the animals were not being cared for appropriately and that most of the animals in the shelter were sick and in need of emergency care. The shelter’s Board of Directors and Animal Rescue & Relief then filed an emergency hearing against the county which resulted in a warrant allowing Animal Rescue & Relief to enter the shelter and seize 76 animals. Out of 76 animals 14 could not be saved. The others needed medical attention, with many needing blood transfusions, surgeries and other rehabilitative care. Most all of the animals had internal and external parasites and were also dehydrated. An appeal was filed by Williamsburg County but Third Circuit Court Judge George James Jr. dismissed it, directing the matter to county magistrate William Driggers. 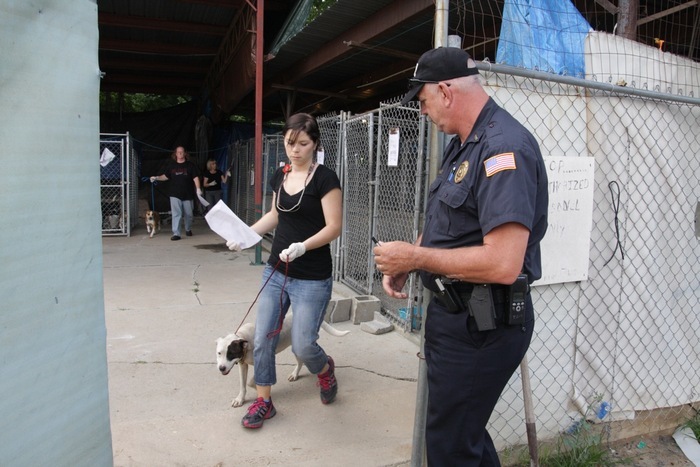 On June 7, 2011 Judge Driggers heard the case regarding the seizure of the animals. Judge Driggers ordered full custody of the 76 animals to be given to Animal Rescue & Relief along with $5,000 to put towards expenses they incurred while caring for the animals between June 7th – June 20th. Animal Rescue & Relief was also given permission to take possession of any medications owned by the Williamsburg Animal Shelter Board for the continued care of the 76 animals. Additionally, Judge Driggers required the Williamsburg Animal Shelter to update all equipment at the shelter, required re-training and re-certification of all employees, and required weekly inspections of the facility by a local veterinarian. Further, part of the agreement was that the County would construct a new animal shelter that would more appropriately meet the needs of the animals. Animal Rescue & Relief maintains a relationship with the shelter and performs consistent but random checks on the conditions at the new shelter. Donate to our cruelty case fund that has been established to support our cruelty cases. 100% of your tax deductible contribution will be used to carry out the important work that occurs during these cases, including medical care for the animals, forensics, equipment and supplies, and other case expenses.